MARQUETTE — Erosion is a natural phenomenon that takes place over millions of years. When you add heavy foot traffic, that process can speed up drastically. 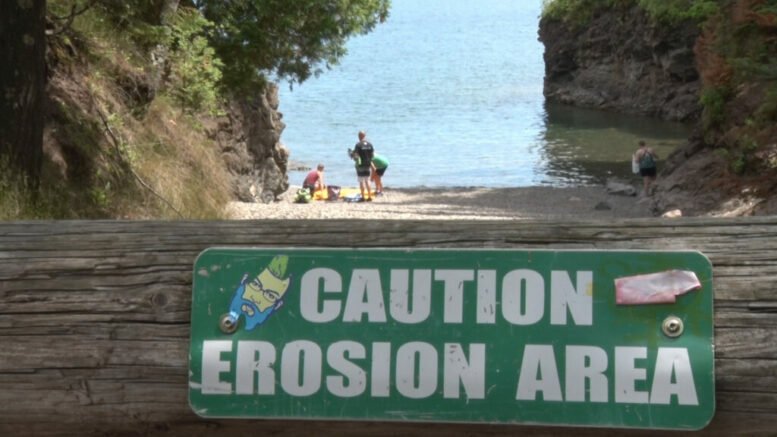 The City of Marquette, the Presque Isle Park Advisory Committee and the Superior Watershed Partnership are working to reduce and reverse the erosion at Presque Isle Park, specifically at the Black Rocks. 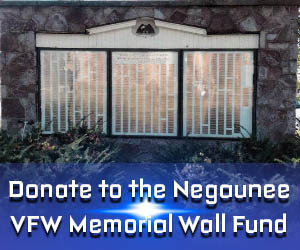 Years of foot traffic and water erosion have contributed to this, and staff are looking to help raise awareness on the issue. “We’re recommending everyone use the path that we are going to be setting up,” said Community Services Assistant Director Andrew MacIver. “Essentially it’s just a path that we’ve already established, but we’re going to have some directional signs just making sure that everyone’s aware that the path to Black Rocks is on the far northern side of the parking lot. It’s going to be an ongoing project for a long time; it’s something that we’ll have to just keep an eye on. We’re obviously not going to be able to stop everyone from going over this area. They are also planting vegetation in areas where foot traffic is heavier than most. They will continue to monitor the erosion as the project continues.